Weddings can be extremely stressful, particularly for the bride. From planning the wedding to organising relatives who are travelling from another part of the country, there is a lot of pressure on brides. That is the very reason for having bridesmaids! Rather than struggling on your own, you should be able to turn to your friends for help. 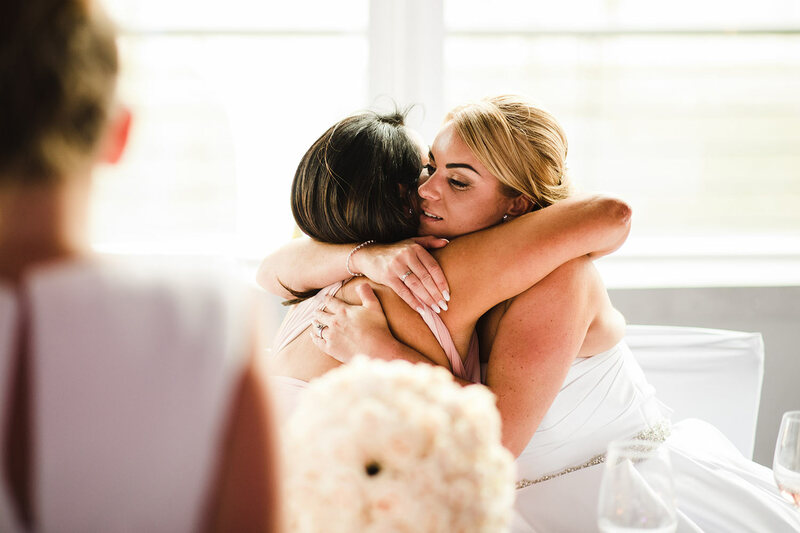 Bridesmaids can be an essential support system, from the day they are asked right through to the big day itself. 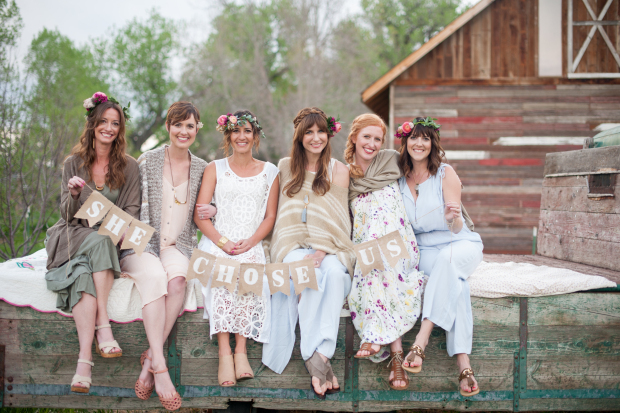 Lets face it bridesmaids are not just there to wear a gorgeous dress and walk down the aisle with you. From the start, bridesmaids should be your support system. The first people you ask for advice, bore with your ideas and occasionally sit and drink wine with when things are getting a little too much! With months to go, they can be an absolute godsend. Don’t feel awkward about asking them to help with the planning – they will want to be involved. From writing invitation envelopes to helping you choose your dress bridesmaids can be a brilliant help when planning a wedding. 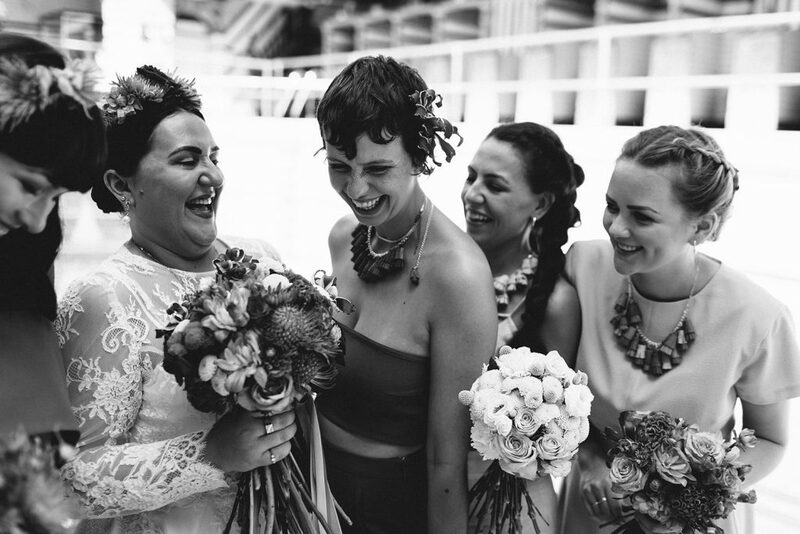 A note to bridesmaids – always be honest about all aspects of the wedding. Dresses can be a big bone of contention though. Naturally, bridesmaids don’t want to outshine the bride, but you still need a dress that looks good. Work through the bride’s plans for her bridesmaids’ dresses, and make sure that everyone is comfortable with the decisions. Bridesmaids you should also help the bride with issues such as weight loss, makeovers, hair ideas, shoes and other decisions that will affect her appearance on the big day. With a few weeks to go, it is time for the bridesmaids to start organising their own affairs. 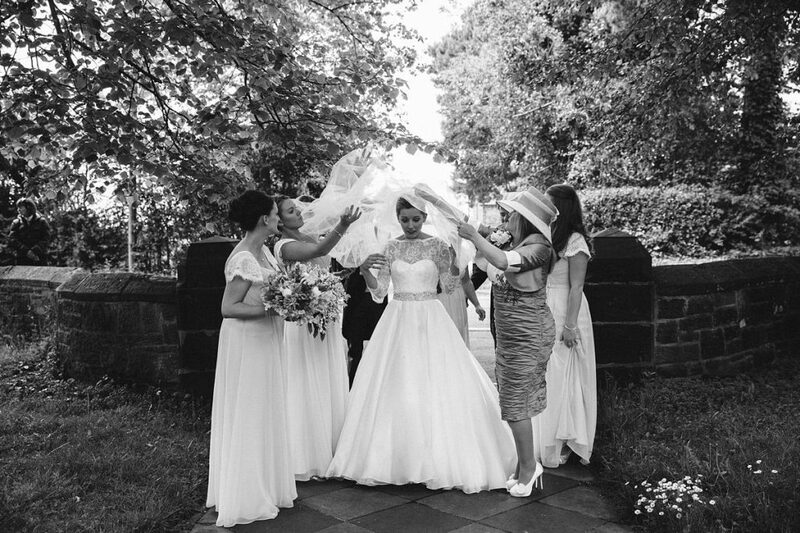 Ensure you have had the necessary fittings for your dress, you arranged transport to and from the wedding, and that you know when the rehearsals are so that you can attend. There is nothing worse than finding out all the plans 5 mins before you are about to walk down the aisle. 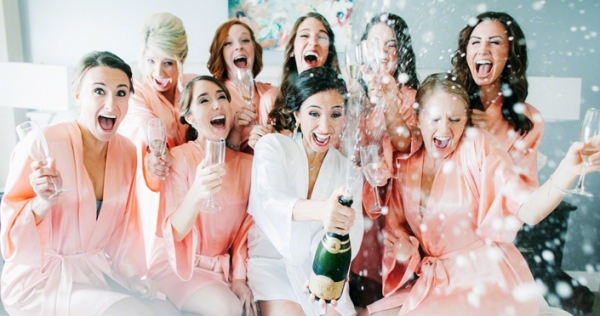 One of the biggest responsibilities of the bridesmaids is organising the hen party. The bride should have nothing to do with this – in many cases the arrangements are made as a surprise. The head bridesmaid/Maid of Honour should organise the night’s travel, prepare speeches, and arrange accessories and make sure everyone not he hen party is fully aware of what’s going on and feels a part of it – it’s all about having fun – it’s the bride’s last night of freedom remember! A key responsibility for a bridesmaid is taking care of the bride as the big day approaches. She is likely to be stressed and nervous so the bridesmaids should be there to reassure her and make her feel positive. Relaxing days at a spa might be a great way to cool down the bride before her wedding. On the morning of the big day, bridesmaids should arrive early at the bride’s house. It is important to be on time. Make sure the bride has everything else ready before she puts on her wedding dress. This will help to keep it clean and wrinkle-free. At least one of the bridesmaids should be carrying an ‘emergency kit’ for the bride. This will contain everything from headache tablets, plasters, a sewing kit (with white cotton) and make-up for quick repairs. Tissues, safety pins, deodorant and rescue remedy tablets should also be carried. At the wedding venue itself, the bridesmaids should make sure that the bride looks her best. If she has been crying, repair her makeup. Make sure that her dress is straightened after the car journey, and wish her luck. If there are photographs, bridesmaids should again make sure that the bride looks at her best, including checking make-up, smoothing the dress, and congratulating her on her marriage. Above all though, bridesmaids should enjoy being bridesmaids. If your bride is becoming a Bridezilla you probably need to let her know and ask if there is anything you can do to help her to relax a little.